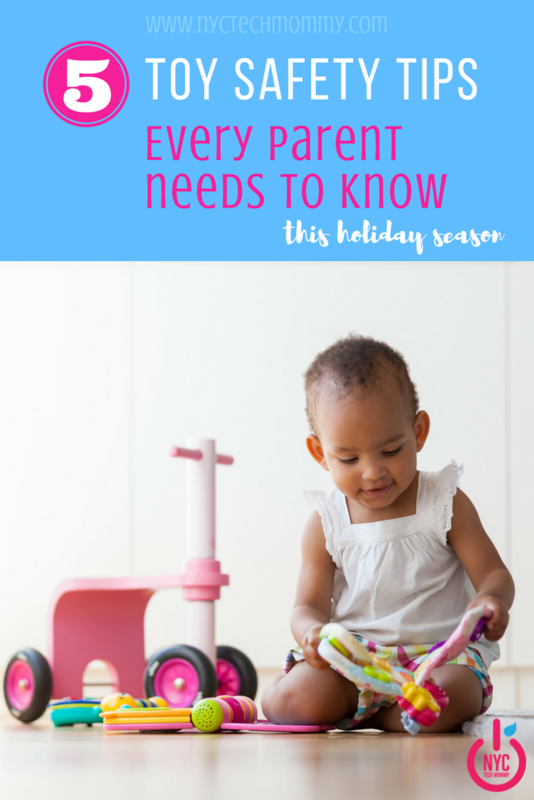 Sometimes you get to think that any toy used for your kids, but the truth is that there are many factors that could make a toy cease to be safe and constitute a danger to them. 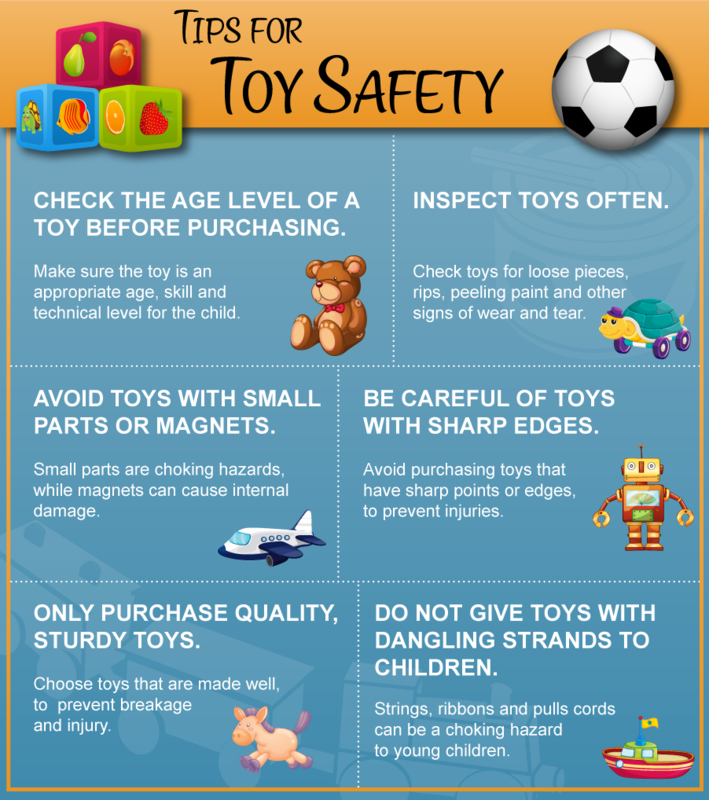 At the time of purchase and give a toy, it is advisable to follow some guidelines! 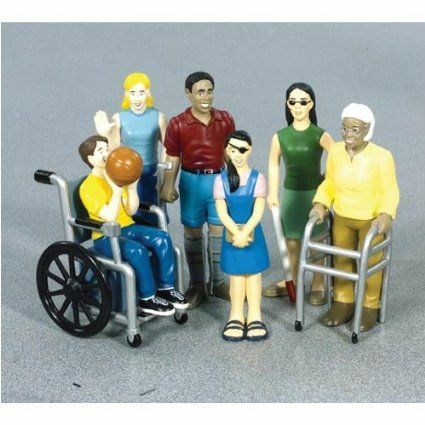 1) Always pay close attention to age recommendations on toys and choose one according to your little, interests and skill level. 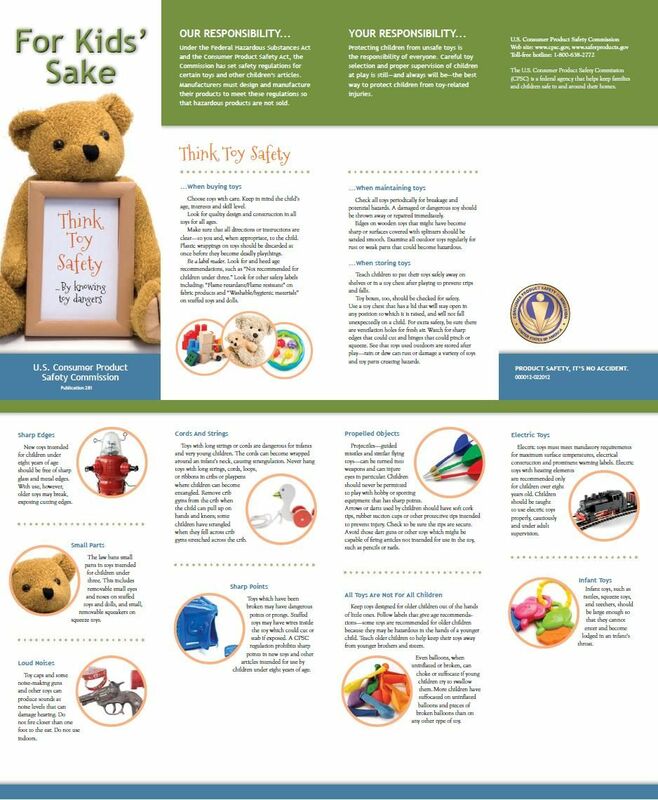 Also, take into consideration other safety labels as “washable materials / hygiene” on the wrists or other toys. The labels are based on physical and mental ability of small, your gaming needs, interests and security. 2) For children one year or less, choose toys that are colorful, light, having various textures and are made of non-toxic materials. Children of this age learn through sight, touch, sound and taste, and often things in their mouths to explore them. 3) Do not give your little girls toys with parts that can put the mouth and eyes, noses, etc. removable; They represent a choking hazard. 4) Search all sharp edges or points toys made with materials such as metal or glass; these toys should not be given to children under one year of age. This includes stuffed animals with wires that can bite, cut or suffocate if exposed. 5) Do not be hang in cribs or playpens toys with strings, cords or ribbons of any kind. Young children can become entangled and could cause injury or death. 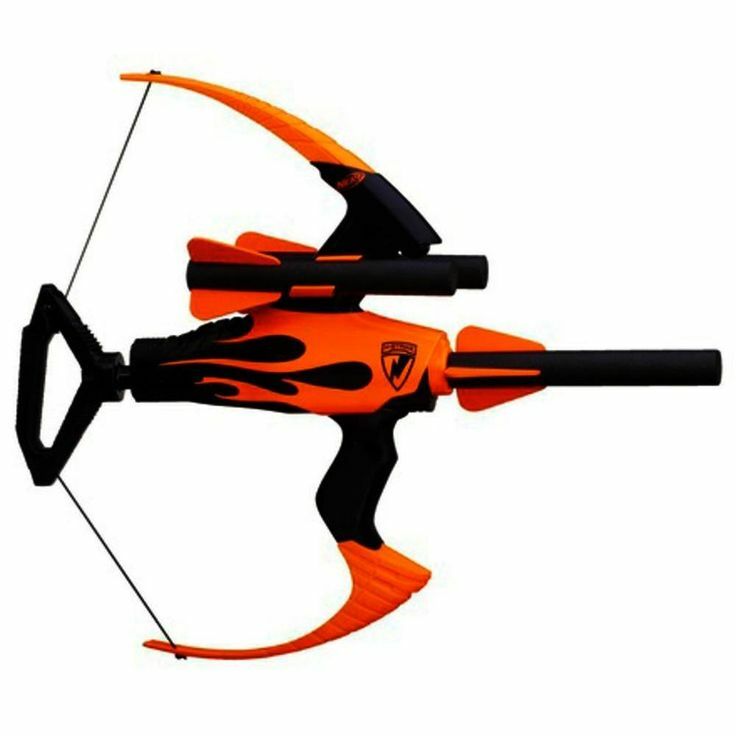 6) Teach the biggest to keep their toys with removable parts, sharp points or those that operate on electricity, out of reach of children younger siblings. Small are very curious and may investigate toys that are not appropriate for them. 7) Monitoring is essential; It provides gaming environments without danger both outside and inside. 8) Teach children to pick up their toys when they are finished playing with them, this will prevent accidental falls. 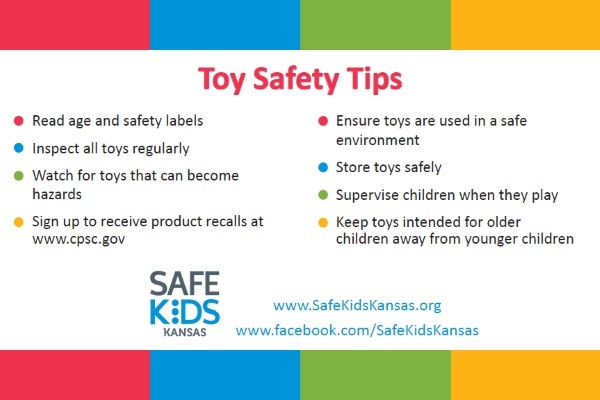 9) Many old family toys no longer meet current safety standards; they may contain lead or potentially harmful parts. This applies mostly to bedroom toys as described by Songaah. 10) Do not forget to pull all packaging as possible. Prevents children to play with plastic (could suffocate). 11) Use safety measures when they exist (helmets, shields, etc.). 12) Check toys regularly in search of damage (chips, loose parts, loose eyes on the dolls, battery covers, etc.). 13) Wash the “teddies” with some frequency. These toys can accumulate bacteria, spread disease if they are shared, accumulate dust and cause allergies. 14) Buyer flying toys, with a warning that should not be used near power lines should always be used under adult supervision. 15) Be careful with toys that look like real food, children may try to eat them. – A child rectal thermometer. – A liquid pain medication without aspirin (acetaminophen or ibuprofen), for children. – Topical calamine lotion or hydrocortisone cream (1/2 percent) for insect bites and rash. – Alcohol 70% to clean the thermometer, tweezers and scissors. – Antibacterial ointment for cuts and scrapes. – Tweezers to remove splinters. – Protective suntan lotion for children. – Insect repellent for children. – Liquid Decongestant approved child pediatrician. – A nasal aspirator to extract mucus if you have a stuffy nose. – Rolls of gauze (1/2 to 2 inches wide). – Gauze pads (some 2 × 2 inches and other 4 × 4). – Mild liquid soap (antibacterial soaps and deodorants may be too strong for sensitive baby skin). – Moisturizing cream to help suavizarle baby skin. – A dropper or an oral syringe calibrated cup or spoon to administer medicines. – A package of tongue depressors for physician office to sore throat. – A hot water bottle and a cold compress. 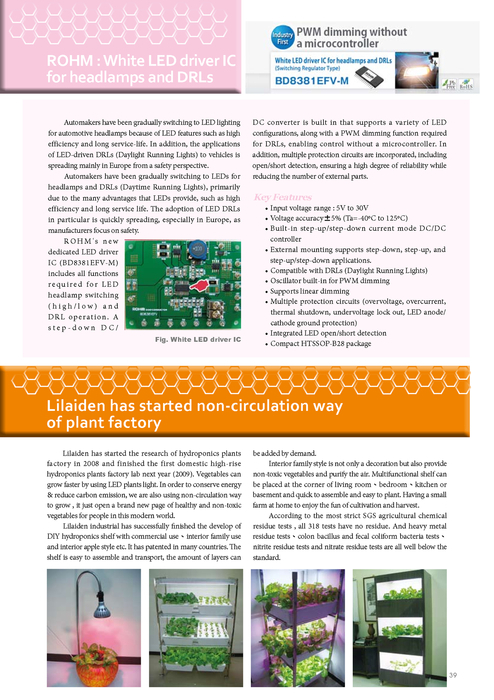 – A flashlight for physician office ears, nose, throat and eyes. – A first aid manual. – If the child suffers from allergies, always have an epinephrine pen at hand. – Any medication prescribed for someone else or for another reason. – Lozenges. Children under 3 years can choke. – Acetaminophen Extra. Flu medicines and cough usually contain acetaminophen; not give you a pain reliever above that. If you’re not sure about something, ask your pediatrician before administering. Deciding what toys to buy can be a daunting experience, especially with all the toys available today. Looking for quality, takes into consideration the toys they already have your children and choose those that complement and enrich the game. We Wish You a Safe, Happy Holiday Season!